Cosco CET-TRIM-500 E Elliptical Cross Trainer is a residential and light elliptical trainer. This cross trainer comes with simple but effective features. It has 8 level magnetic resistance, large non-skid foot pedal, 8 kg flywheel and big LCD displays. Net Weight. : 32.5 Kgs. *Note: Most of the sites, stores or shopping portals listed above sell Cosco CET-TRIM-500 E Elliptical Cross Trainer with discounts and other exciting offers. 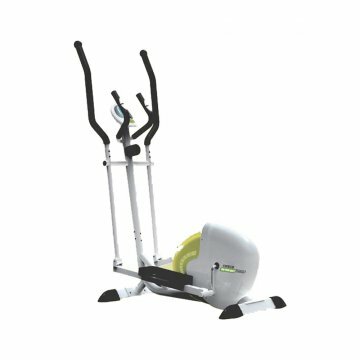 There is a possibility that the some of above websites are not selling Cosco CET-TRIM-500 E Elliptical Cross Trainer now. Toughtrain.com is not liable for such cases or instances. Also we do not recommend any seller for Cosco CET-TRIM-500 E Elliptical Cross Trainer and a buyer should buy from where he/she gets best deal with quality of products, service and on time delivery (shipment). I bought one CEB Trim-500E on the 18/10/2017 from ENERGIE at Panditia Road in Kolkata. But recently it develops some problems. When the pedals move downwards it seems that resistance of it abruptly decreases. And it creates problem to continue doing exercise. I informed the authority and requested for service. But they didn’t pay heed to it. I earnestly request you to give me tips to get me rid of the problem as they didn’t send mechanic to repair/service it. Please do help.